We are looking for quality umpires -- just like yourself! Make online schedule changes or manage your account. 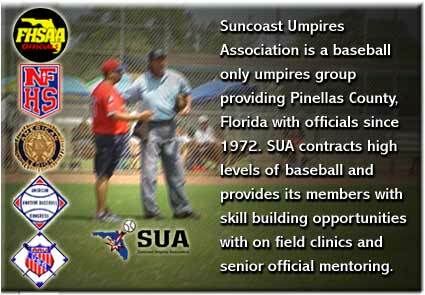 Your association can benefit from the Umpire Scheduling Web Application™ used at SUA! Contact the author for a demo. Copyright © 2001-2018 Justin Hall. All rights reserved. Software release 9.5.1. Site Design and Umpire Scheduling Web Application™ by Hall Solutions LLC.